Don’t have money, but want to invest in real estate? One of the biggest misconceptions that people have about being a real estate entrepreneur is that they need to have huge reserves of cash to get started in investing. While having cash reserves can certainly help, it’s not absolutely necessary. However, when it comes to generating cashflow over the long haul, having the right connections is a lot more important than having a pile of cash. All of the money in the world won’t matter if you’re unable to generate leads consistently!! That means you need to know how to generate leads… plenty of leads. The good news is that you don’t need a lot of cash to find leads. There are many ways to generate leads without boatloads of cash. By learning the best techniques, you’ll be ahead of the game from the very start. 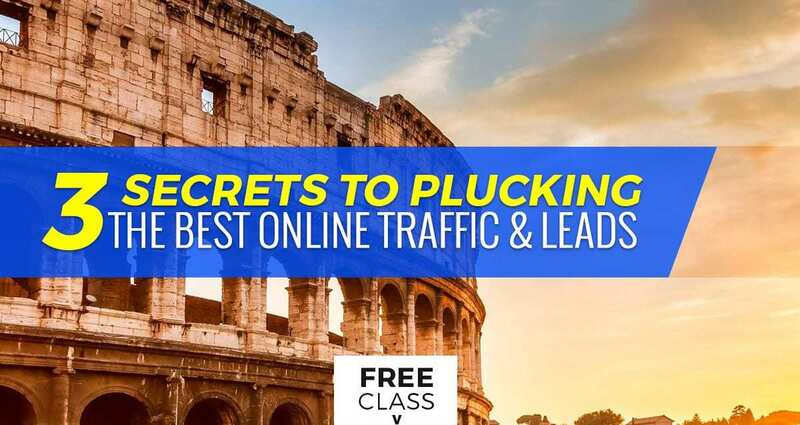 Wanna Learn How to Generate Bunches of Leads? Click here for a free web class. As nice as it would be to invest in slick marketing materials like snazzy brochures, pretty yellow letters and flashy business cards, you may not have the means to do so at this juncture. In fact, that stuff can be a HUGE waste of money and time. So put your thoughts of yellow letters aside. “I’m a wholesaler. What that means is that I buy properties at a discount and I sell properties at a discount.” You can follow up with asking them what they are looking to do or what type of help they might need from you (if indeed they are investors, buyers or sellers). That is the secret sauce, the magical words, the door opener if you will… to lots of transactions in your real estate investing life. When you hand someone your business card, how likely are you to ever hear from that person? So what’s the point to carrying all those pretty business cards? It’s better to take another path. For example, while you have someone’s attention, nail down a firm appointment time to meet again in the week or the following week instead. When someone asks for your business card, ask why they want it. Use whatever answer you get to broach the subject of scheduling a meeting in the near future. 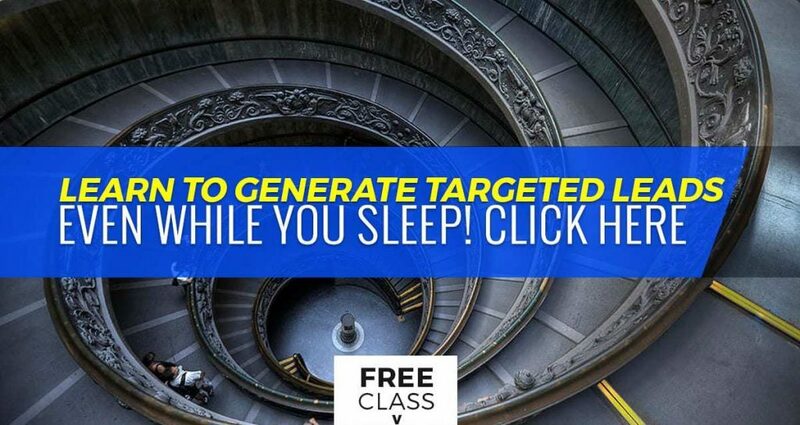 Click here for a free web class!! Just because the person you’re speaking to at the moment isn’t interested in what you have to offer doesn’t mean there’s no potential for generating a lead. One of the keys to learning how to earn more money is in making opportunities where none seemingly exist. For instance, always ask if the person in question knows anyone who is looking for help in your field of expertise. You’d be surprised by what you learn just by asking. Ask and you shall receive, right? It’s true!! Lots of people would like to earn passive income, so you’re sure to get more than a few nibbles using this approach. There are lots and lots of strategies for learning how to earn a great income. However, one of the hands-down best ways I’ve ever come across (and used) is playing the Cashflow 101 game. Right now you might be shaking your head, saying to the screen that you don’t know how to play the game. So what?! Play it a couple of times and you will know how it’s done. Play it until you’re able to teach others how to play it. After a few times, even if you aren’t great at the game yet, invite other people to play. Play it in public places like coffee shops and restaurants, too. The Cashflow 101 game is a true lead-generating machine. Regardless of where you are in your journey, it pays to continually hone your skills and seek knowledge. The sooner you start, the sooner you’ll reap some truly valuable rewards. There’s more to it than what fits in this short article. Browse this site, listen to the podcast, take the free web classes you’ll find in different places, and just take advantage of all you can online. Most important of all… take your education seriously. Put in the time it takes to learn the basics and then keep adding to it. That’s what I did less than a decade ago and look at what I’ve been able to achieve. I’m just a regular guy… like you… nothing magical about my brain. I put the energy and effort in up front and started reaping the rewards after only a few short months. You can do the exact same thing… just like others who have taken Cash Flow Diary courses.